This bark helps wean your kids off sugary, low-cocoa milky chocolate and onto darker chocolate with less/no added sugar. Little ones like making it because they get to do a lot of bashing up - and there's chocolate at the end of it. Look for dark chocolate with 75% or more cocoa solids and no added sugar. Bag your shapes up in little cellophane bags as edible gifts or make a big chocolate heart to share as a family over Christmas. 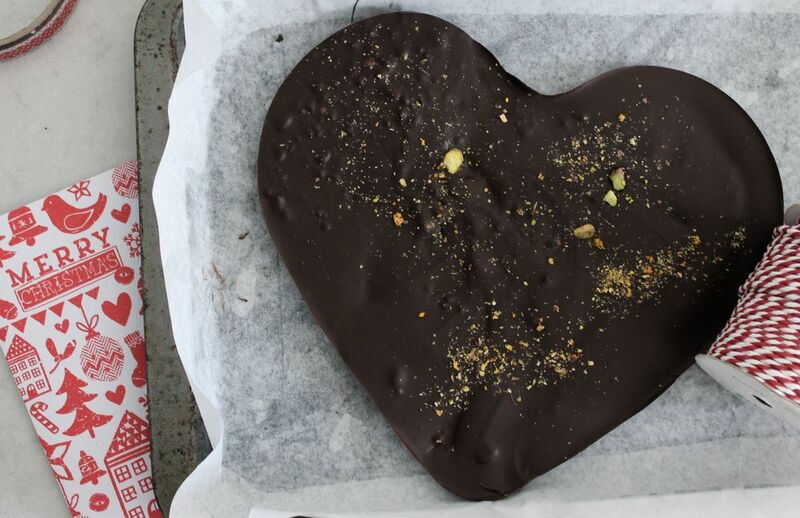 For more chocolate bark flavour ideas, try our original chocolate bark recipe. 1. Line a rimmed baking sheet with greaseproof paper and boil the kettle. Break up the chocolate. The easiest way for kids (and grown-ups) to do this is to smash it about a bit on a chopping board and between your fingers while it's still in the foil wrapper. Decant into a plastic jug. 2. Pour the boiling water into a large pan that your jug will fit nicely inside and set over a low hear until the chocolate melts (a few minutes). 3. 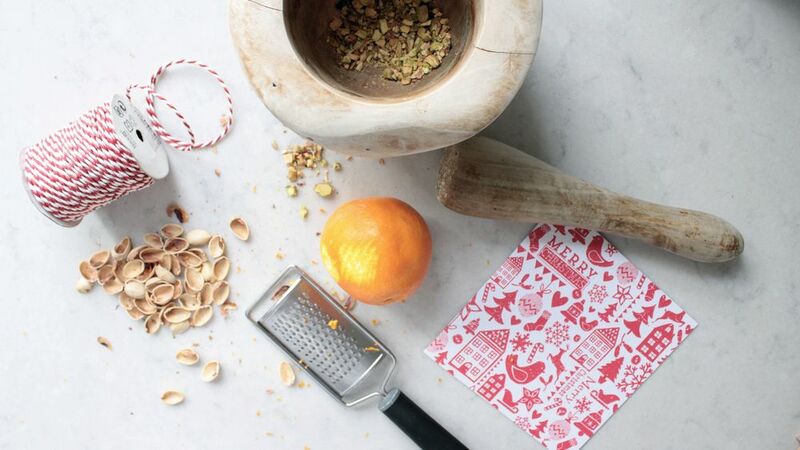 Meanwhile show the kids how to shell the pistachios then get them to bash them up with a pestle and mortar (or pulse once or twice in a food processor). Keep some nuts chunkier. Zest the satsuma or clementine (you can eat the fruit immediately as you only need the zest for this recipe). 4. Once the chocolate is melted, take it off the heat and stir in your fruit and nuts, reserving a sprinkle to scatter over at the end. 5. Choose whatever cookie cutter shapes you fancy and place them on the prepped tray (eg. little stars, hearts or Christmas trees). Carefully pour the flavoured chocolate from the jug into the shapes. If you want to make a big heart you’ll need a big flexible silicon mould (roughly 20cm). 6. Scatter over the remaining zest and nuts and pop in the fridge for 30 minutes to set. 7. Gently ease the bark out of the cutter shapes by running a palette knife around the edges and carefully pulling up the cutters. Silicon moulds are very flexible and easy for removing the bark. Bag up as gifts; store in a tin in the fridge or somewhere cool. This recipe makes 1 big heart plus 4 little stars (or equivalent depending on the size of your shapes).